Pharmacy technicians form a vital part of the pharmacy team. Registered pharmacists depend on them to perform much of the preparation of prescription products and customer service within the pharmacy. 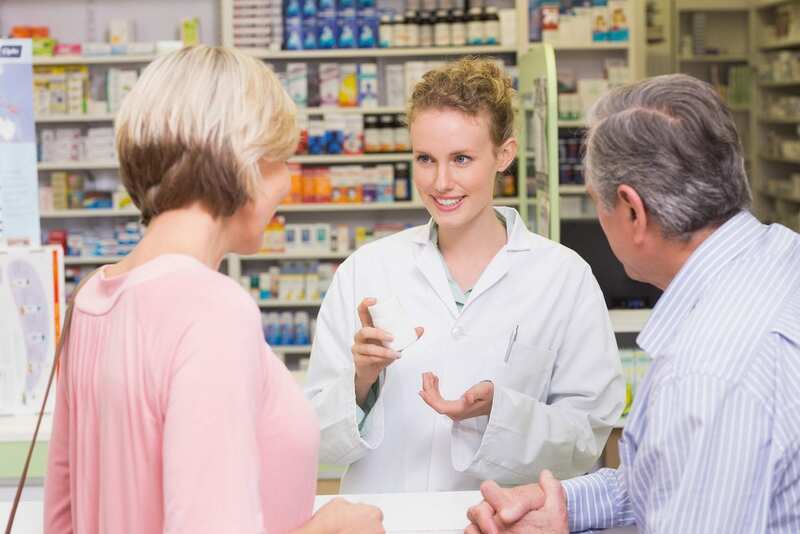 Their active role within institutional and retail pharmacies gives pharmacists the freedom to assume a more clinical role. Pharmacy technician programs emphasize the importance of detail in the profession. Accuracy or lack thereof could boost or endanger public health, so students learn that precision, accuracy, and attention to detail are all principles that pharmacy technicians must apply in practice. Common topics include preparation of IVs, processing prescriptions, pharmacy software, inventory control, drugs and their effects on the body, and pharmacy calculations. Graduates are prepared for an exciting career in the field of health care. Estimates from the Bureau of Labor Statistics indicate that employment for qualified pharmacy technicians will grow by 20 percent in the next decade. A career as a pharmacy technician is emotionally and financially rewarding but it may also be an excellent starting point if you plan to become a licensed pharmacist. California State University facilitates a pharmacy technician that leads to a certificate of completion. The duration of the program is nine months. Students obtain the skills to become an efficient technician as they learn pharmacy law and ethics, drug classes, pharmaceutical calculations, prescription interpretation and processing, brand and generic drug names, and indications for use and pharmacology. In addition to classroom lectures, students will be exposed to a variety of pharmacy environments to put their knowledge to work under the supervision of a licensed pharmacist. The school also has a pharmacy lab that will provide additional opportunities to practice prescription processing and labeling of medications. All students have access the school’s Pharmacy Technician University online to enhance their learning experience. Graduates will be eligible to apply to the California State Board of Pharmacy to become a licensed pharmacy technician. They may also sit a national certification exam to become a Certified Pharmacy Technician. Interested persons must have a high school diploma or GED, pass a basic math-skills assessment, and pay the $75 application fee. The total cost of tuition is $10,500. SJVC’s Pharmacy Technology program provides students with the knowledge and skills to dispense medication under the supervision of a registered pharmacist. Students learn pharmacy law and ethics, computer data entry, prescription processing pharmacy science and clinical applications, and pharmacology. The training includes classroom and lab instruction as well as an extern component that gives students the opportunity to learn in an actual clinical environment. The duration of the training is 30 weeks for the certificate program. SJVC offers a Certificate of Completion and an A.S. degree program. Tuition for the AS degree is $30,175. Liberty Career College hosts a pharmacy technician program that helps students develop the skills to accurately calculate dosages, prepare prescription labels, dispense medications, and fill prescriptions under the direction of a registered pharmacist. Areas of study include processing prescriptions, dosage calculations, drug classifications, medical and pharmaceutical terminology, pharmaceutical calculations, medication inventory management, and customer relations. Applicants must be 18 years or older and have a high school diploma or GED. UEI College prepares pharmacy technician students to thrive in a pharmacy environment. Committed instructors ensure students develop the skills that they’ll use daily. The program covers hospital pharmacy procedures, pharmacy law, retail pharmacy procedures, internal medicine, sterile preparations, customer relations, and much more. The curriculum is designed to be complete in nine months. At the conclusion of the program, graduates will be prepared to function as a key member of the pharmacy team and sit a national exam to become a Certified Pharmacy Technician. The program covers nine modules in 36 instructional weeks. The first eight modules are 80 hours each. The final module covers a 120-hour pharmacy externship at an approved facility. The entire program covers a total of 760 clock hours or 34.5-semester credits. Applicants must be 18 years or older, have a high school diploma or GED equivalent, be free of felony convictions of any kind, and submit a completed applicant, fee, and livescan fingerprints, and a photo.